Crown-Indigenous relations Minister Carolyn Bennett speaks to the Assembly of First Nations National Forum on the proposed Federal Recognition and Implementation of Indigenous Rights Framework in Gatineau, Que., on Tuesday September 11, 2018. Canada's Minister of Crown-Indigenous Relations is pointing her finger at the Indian Act for creating a gridlock in northern British Columbia where the hereditary clan chiefs of a First Nation say a liquefied natural gas pipeline doesn't have their consent. Canada’s minister of Crown-Indigenous relations is pointing her finger at the Indian Act for creating a gridlock in northern British Columbia where some hereditary clan chiefs say a liquefied natural gas pipeline doesn’t have their consent. 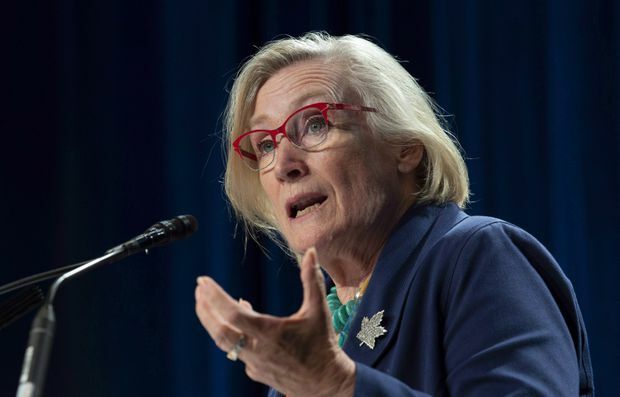 Carolyn Bennett would not say whether she believes the hereditary chiefs of the Wet’suwet’en First Nation have jurisdiction over the 22,000 square kilometres they claim as their traditional territory, saying that it is up to each community to determine its leadership structure. “I think that we’re in this transition, hopefully transformation, to be able to get more and more communities out from under the Indian Act so that there isn’t this question of who speaks for the community, as they choose a governance of their own making,” she says. Coastal GasLink is planning to run its pipeline from northeastern B.C. to LNG Canada’s export facility on the coast in Kitimat. The estimated cost of the terminal and infrastructure is $40 billion. While Coastal GasLink says it has signed benefits sharing agreements with all 20 elected First Nations councils along the pipeline route, five hereditary clan chiefs say they are “adamantly opposed” and the project has no authority without their consent. The project is within British Columbia’s boundaries, so Bennett says she has not been in contact with the Wet’suwet’en hereditary clan chiefs about the ongoing dispute. But she says it points to the urgency of having decision-making processes in place where the community feels represented by its leaders. “This is a wholly B.C. project with a B.C. 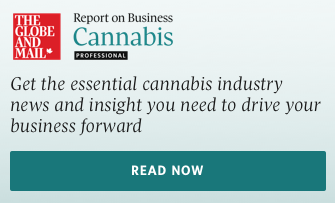 court having allowed the injunction and so we are in a difficult place in terms of how decisions get taken and how urgent it is to be moving forward,” Bennett says. “There is a proper regional approach to major projects. The good projects get approved really fast, the bad projects get rejected really fast,” she says. The Wet’suwet’un were part of the landmark Delgamuukw Supreme Court of Canada decision in 1997 that ruled Aboriginal title does exist in B.C. The ruling said governments must consult First Nations whose title rights are affected. As an example, it is giving $600,000 to the Carrier Sekani Tribal Council in the B.C. Interior “to rebuild their governance and hereditary structures.” Work will include developing community history books and workshops on governance, roles and responsibilities, clan systems and hereditary systems. “When you talk to the best knowledge keepers there were always ways of dealing with people who were not serving their communities well, these systems were in place long before the settlers showed up,” she says.